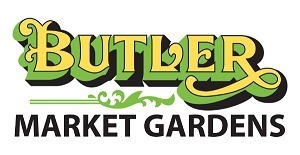 Butler Market Gardens is a local grower, packer, marketer & distributor of fresh vegetables and herbs. They grow various products and supply the Australian supermarkets around 25-30 million fresh products per year. With links, back to the 2-acre village, The Butler family have lived and farmed vegetables in Cheltenham since they immigrated from England in the early 1880’s. Rick Butler, CEO and owner of Butler Market Gardens still has connections with his Cheltenham JFC team mates he played with between 1987 & 1991. The Butler family have strong links to the Cheltenham FC & the St Kilda FC, with some more newsletter stories to come. Butler Market Gardens is proud to be sponsoring the Cheltenham Junior Football Club in 2017, and looks forward to contributing towards grass roots football for years to come. Rick’s son Thomas will be a 5th generation Butler to play football for Cheltenham this year when he plays for one of the panthers under 8 teams. His brother Arthur looks forward to playing with the panthers next year as well. Now that the league and the club have opened the girls league, 5-year-old Butler twins Ashleigh & Hayley also have the opportunity to play football for Cheltenham in the years to come.